Kathryn Irene Peck age 97, of St. Johns, MI, passed away Sunday, December 2, 2018, at her home. Funeral Services will be held at Pilgrim United Methodist Church, St. Johns, MI, on Thursday, December 6, 2018 at 2:00 P.M., with Pastor Andy Croel officiating. Burial will take place at Great Lakes National Cemetery Holly, MI. Visitation will be held on Thursday, December 6, 2018 from 11:00 A.M. until the time of service at the church. Kathryn was born in St. Johns, MI on October 8, 1921, the daughter of William Benjamin and Mabel Viola (Hicks) Heibeck. She graduated from Old Central High School, in St. Johns, MI. On September 29, 1939 Kathryn married Robert Eugene Peck in St. Johns, MI. Robert predeceased her on June 23, 2011. She worked for McKinnons in St. Johns for 32 years. Kathryn enjoyed playing cards, shuffle board, and crocheting. 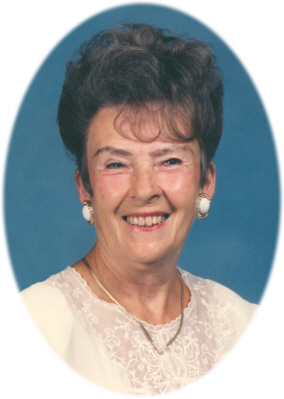 She resided most of her life in St. Johns and was a member of Pilgrim United Methodist St. Johns, MI. She is survived by her son Douglas and Betty Jo Peck of Ashley, MI; daughter Dianna and Robert Honeywell of Lansing, MI; 6 grandchildren; 18 great grandchildren; and sister Frances Halitsky of Indian River, MI. She was predeceased by her parents, husband, grandson Brendon, and 7 brothers & sisters. Memorials may be made to Pilgrim United Methodist Church 2965 W. Parks Road St. Johns, MI 48879. Online condolences can be made at www.smithfamilyfuneralhomes.com. The family is being served by Smith Family Funeral Homes - Osgood Chapel, St. Johns, MI.